“Everybody scream!” Jack Skellington, Pumpkin King of Halloween Town, and other character puppets and set pieces from The Nightmare Before Christmas, return to the McNay in an immersive new installation of works from the Tobin Collection of Theatre Arts. The product of Tim Burton’s B-movie–steeped imagination, this 1993 tour de force of stop-action animation has been a cult favorite for two generations. Like Burton, who originally sketched the film when he was an alienated teenager living in the shadow of Disney Studios, many Museum visitors will identify with the lanky antihero. 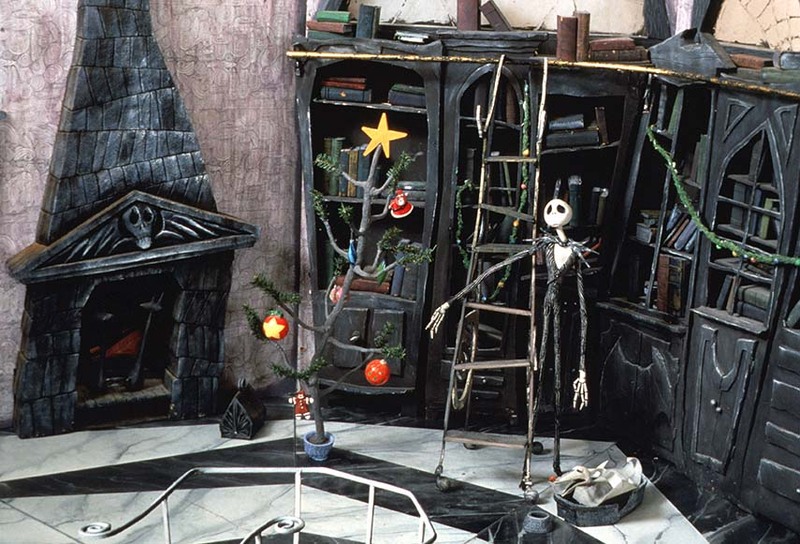 Echoing Burton’s own creative impulse, Jack attempts to make his gloomy, gothic-towered world brighter; the result is a mash-up of holidays, complete with tombstones and tinsel. The exhibition provides a rare opportunity to discover how camera crews shot 24 stills for each second of film. The trick-or-treating Lock, Shock, and Barrel have removable heads for different expressions. Holes in the Clubhouse floor indicate the positions of the bathtub that carries the three on a mission to kidnap Sandy Claws. Full of human warmth, verbal and visual wit, and technical virtuosity, Behind the Screen should win new fans for Tim Burton’s The Nightmare Before Christmas and for the McNay’s theatre arts collection.